Background: Organochlorines are a various group of synthetic chemicals that include polychlorinated biphenyls (PCBs), dibenzo- p- dioxins/ polychlorinated dibenzofurans (PCDDs/ PCDFs or dioxins) and organochlorine pesticides, such as dichlorodiphenyl-trichloroethane (DDT), lindane, aldrin and dieldrin. As many organochlorines and their metabolites have carcinogenic and the weak hormonal (estrogenic and anti-estrogenic) effects, a possible association between breast cancer risk and exposure to organochlorines has been hypothesized. It has been estimated that well established risk factors explain only about 41% of breast cancer cases, with the remainder cases due to unidentified causes. Since known risk factors for breast cancer account only for about half of all cases, there has been continued interest in the role of organochlorines and other environmental pollutants in unexplained breast cancer. Methods: The literature concerning the association between organochlorines and risk of breast cancer was reviewed. 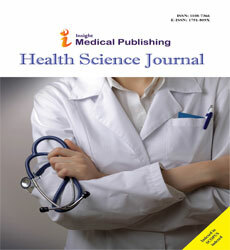 Relevant studies were identified by searching the following databases: the Cochrane Library, Medline, Embase and PubMed. Studies that met the quality criteria included in the review. Results: Association between organochlorines, such as DDT and PCBs, and breast cancer risk has been reported in a number of epidemiological studies since 1976. The association of PCBs and DDE with breast cancer has been investigated in a series of retrospective case-control studies and in prospective nested case-control studies. In general, the individual epidemiological studies that have been conducted to date and are presented in this review, do not support a positive association between body burdens of single organochlorines and the development of breast cancer. However, the quality of available scientific information is low because the majority of epidemiological studies that have been conducted till now have many limitations and weaknesses. Conclusion: This review shows that high concentration of single organochlorine compounds are not important predictors for breast cancer. However, a hypothetical association between organochlorine substances and risk of breast cancer cannot be investigated on the basis of single substances levels. The possible synergetic, antagonistic or additive interactions between the substances should be considered. Further research on interactions between organochlorines and other xenoestrogens and natural estrogens is recommended.